Whether a dinosaur was a carnivore or herbivore. Exhibits will showcase how a paleontologist locates, preserves, excavates and transports dinosaur bones from the field to a research center. 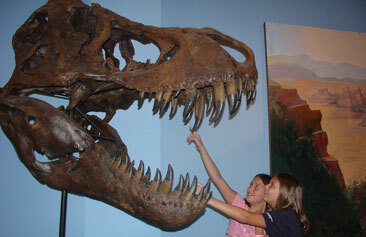 Other exhibits will include dinosaur egg casts, claws and teeth. Go back in time and explore the amazing world of the dinosaur! The specimens on display in this exhibit are on loan from the Broward College Graves Museum Collection.